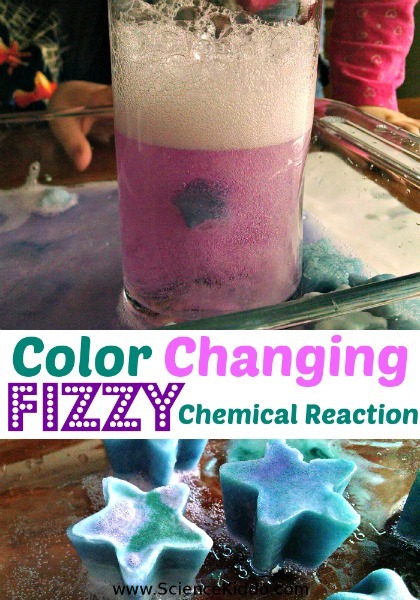 A color changing science experiment is always exciting and engaging to do with kids. This color changing sensory bottle is extra special because it is heat sensitive. 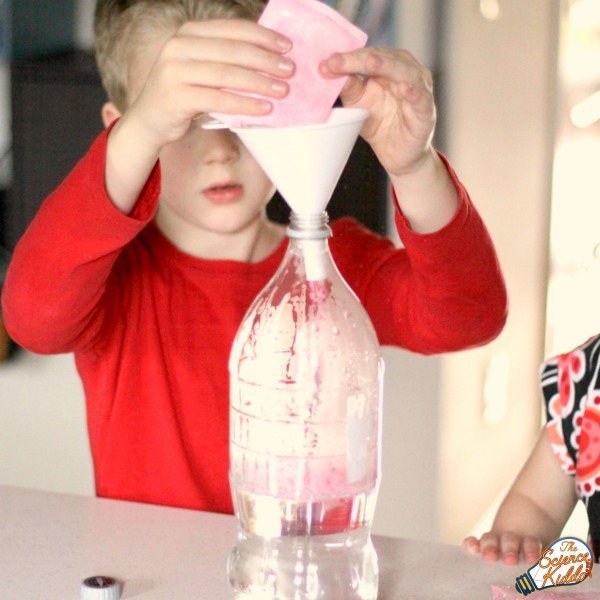 Children can gauge what the temperature is based on the color of the bottle, plus they will learn about the relationship between temperature and pressure change! The secret ingredient that makes this color changing sensory bottle heat sensitive is called thermochromic dye. “Thermo” means temperature and “chromic” means color. So a thermochromic powder changes color when the temperature changes. 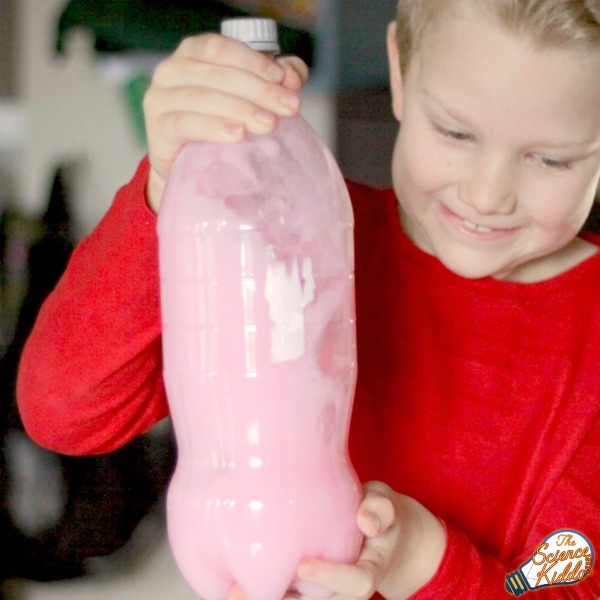 Awhile back we made heat sensitive color changing slime from Left Brain Craft Brain. 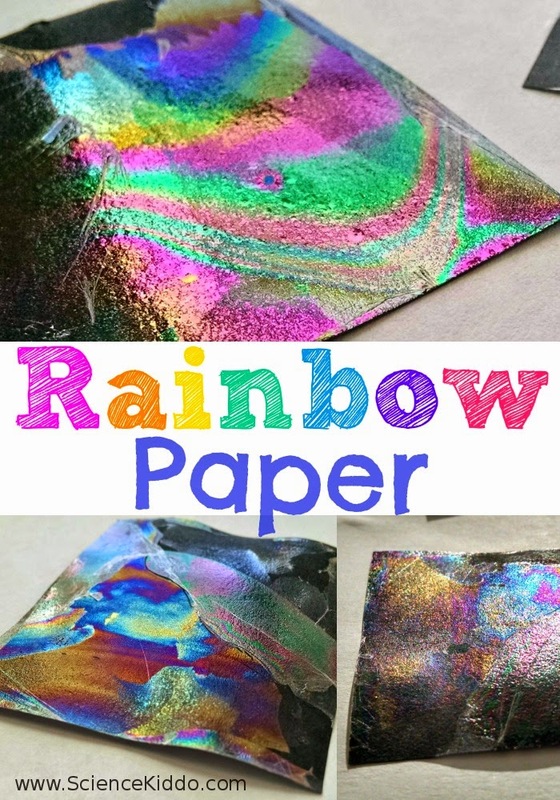 It was such a hit with my preschooler! We had a little bit of thermochromic powder leftover that we used to make our color changing sensory bottle. 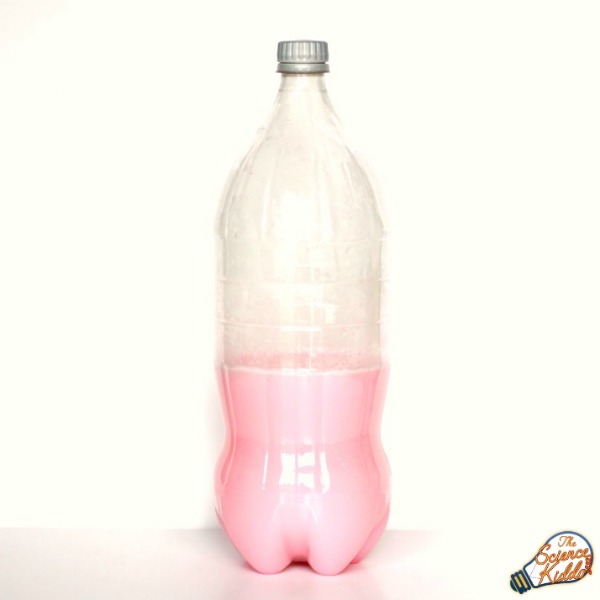 We filled our plastic bottle about halfway with water and then used a funnel to add about 1 teaspoon of thermochromic dye. My son replaced the lid on the bottle and shook it up well. We all noted that it was a faint pink color. On the package it states that the thermochromic pigment changes color at 71.6 degrees Fahrenheit (22 degrees Celsius). We wondered what would happen if we cooled the bottle well beyond that. 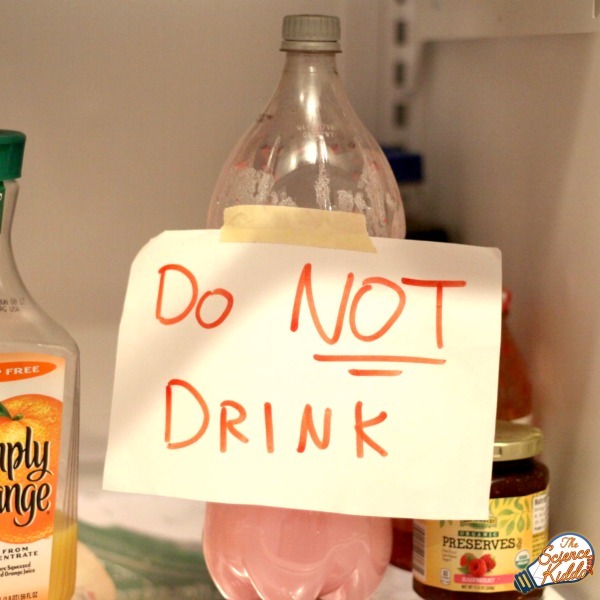 I taped a sign to the bottle so that nobody would mistake our science experiment for a delicious fruity punch. Then we placed the bottle in the refrigerator. Within an hour the bottle had changed significantly! Not only had the color inside changed to a deep red, the bottle itself looked like it had been squeezed. There were dents in the bottle where it had collapsed. We took the bottle out of the refrigerator and let it sit on the counter. Sure enough, as it warmed up, the color inside got paler and the bottle popped back out to normal! The kids were so amazed! We decided we wanted to see the changes happen more quickly. I warmed up some water on the stove and we filled up another big bowl with ice water. We had a wonderful time warming up the bottle in one bowl of hot water and watching it go pale pink and then cooling it down in the ice water bath and watching it turn dark red and collapse. It was like magic every time! Pro Tip: Make sure to remove the cap when the bottle is warming up in hot water. 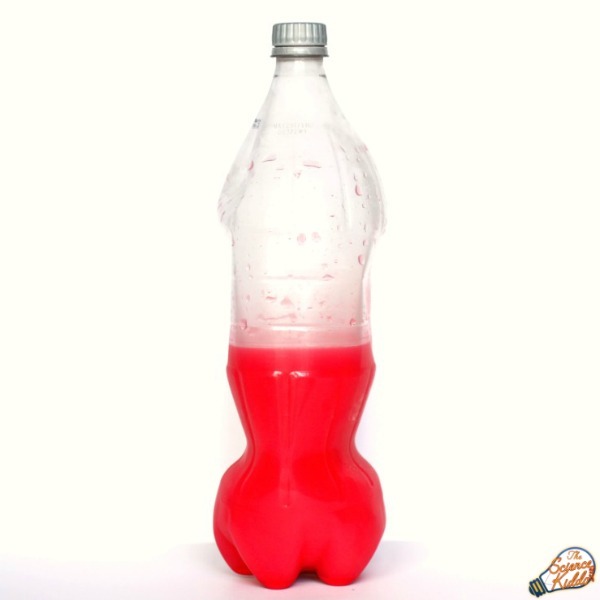 The increased temperature makes the pressure inside the bottle rise and could make the bottle pop if it gets too high! During the past few weeks we have left the heat sensitive sensory bottle on the kitchen counter. Since the color changes right around room temperature it has been fun to see how warm our kitchen is by looking at what color the sensory bottle is! The thermochromic pigment tends to settle on the bottom of the bottle after a few days. A good shake is all it takes to mix it back in. 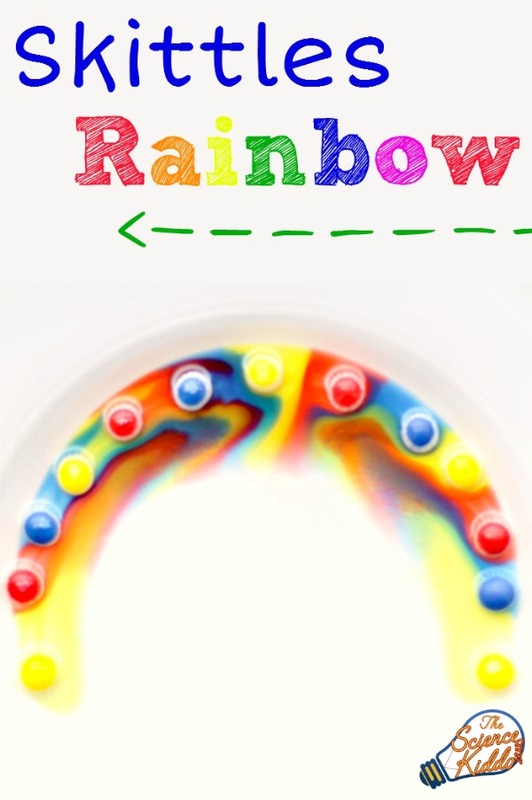 Thermochromic pigments change color according to the temperature because they are made of leuco dye. The addition of heat makes the leuco dye change it’s molecular structure. One form reflects colored light while the other form is colorless. Another fun thing to watch in this color changing science experiment is how the pressure changes with the temperature. Pressure and temperature are directly proportional, which means when the temperature rises, so does the pressure. When the temperature decreases, the pressure decreases, too. When the bottle is cooled down the pressure on the inside decreases. This means that the pressure on the outside of the bottle is greater and pushes the bottle in. By the same token, when the temperature increases so does the pressure on the inside of the bottle. As the thermochromic dye turns warm and pale, the bottle expands, too! Be sure to click below to download a free copy of the science journal page. 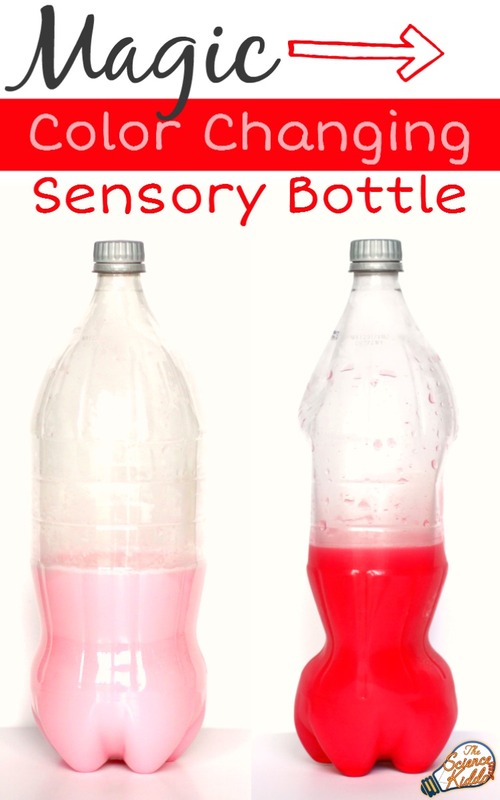 And have fun with your color changing sensory bottle science experiment! Thank you so much for your website. 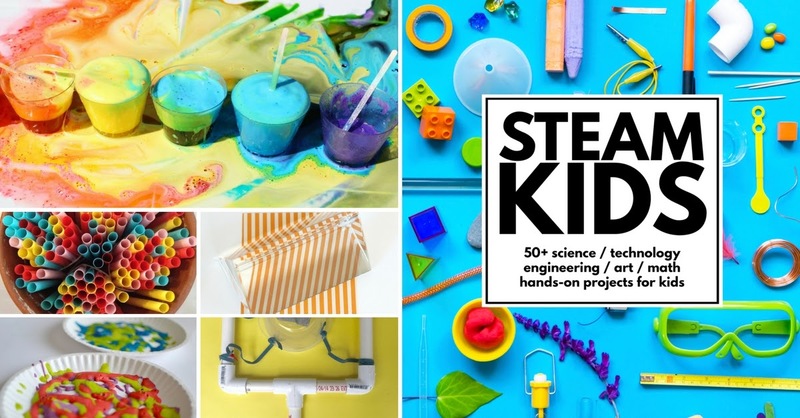 This helps me teach my daughter STEM. We will try this experiment and comment our findings below. I am so happy to hear this! Thank you so much for your comment. What were your findings?